idoo File Encryption Pro is a powerful file, folder and drive protection program. 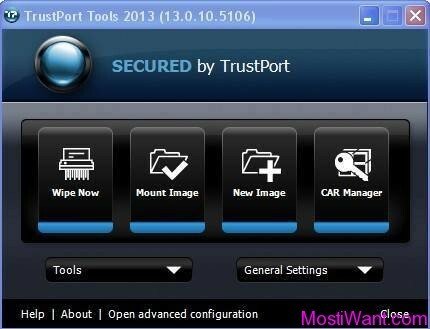 With high speed and easy operations, it can help you to quickly and safely hide files, folders and drives, lock them, protect them from changes, encrypt them using the advanced 256-bit AES encryption algorithm, monitor them, and securely remove them, all from an easy-to-use interface. idoo file encryption Pro also enables you to create a standalone EXE which you can decrypt on any computer or external drive without need idoo File Encryption to be installed. It is always necessary to encrypt your confidential data or private information so that they would not be divulged even your computer or laptop were lost or stolen, and idoo file encryption Pro is your best choice to complete such task. Hide Data : It can perfectly hide your files, folders or drives from users’ programs, and make them completely invisible. Lock Data : You can easily lock your data by it, and the locked files, folders or drives, cannot be accessed or modified. Security Protection :The files and sub-folders in a locked folder can be protected without any password. Encrypt Data : It has the function of file encryption and folder encryption. Portable Encryption : Using advanced AES encryption algorithm, it packs and encrypts the folder into an executable file, which is portable and readily to use. 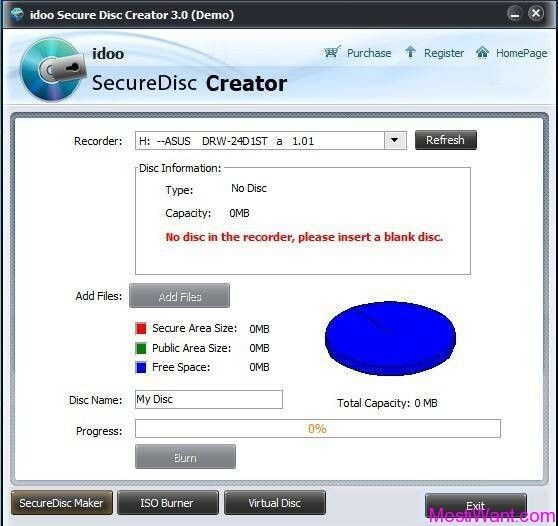 Safe Delete : No one can recover the safe deleted data from your disk. Password Protected : There’s no way to run or uninstall the software without the password. Easy to Use :With user-friendly interface, it is very easy to use. 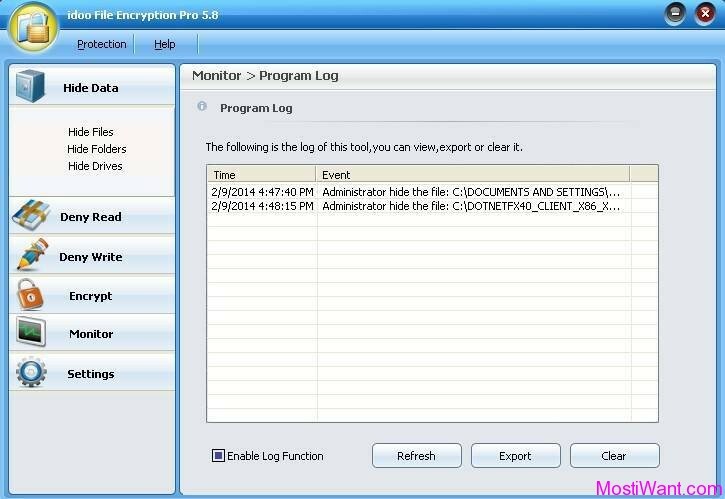 idoo File Encryption Pro is normally priced at $35 per serial number / license key. Glarysoft are having a giveaway of idoo File Encryption Pro 5.8, where everyone can download a full version copy for free. The giveaway will be valid for today only (24 hours on July 15, 2014). Don’t miss it. To grab your free copy visit the Glarysoft page here during giveaway period to download the giveaway package. Unzip the package you’ve downloaded, and carefully read the instructions which you can find in the readme.txt file. Follow the instructions carefully to install and activate the software. You have to install and activate it before the Giveaway offer for the software is over. 1), Back up everything that is important to you. While we don’t expect any serious problems, regular backups are a good thing regardless of whether or not you are using new software. 2), Be sure to remember your password of idoo File Encryption Pro. or keep it in a safe place, because you can not run this program without it.